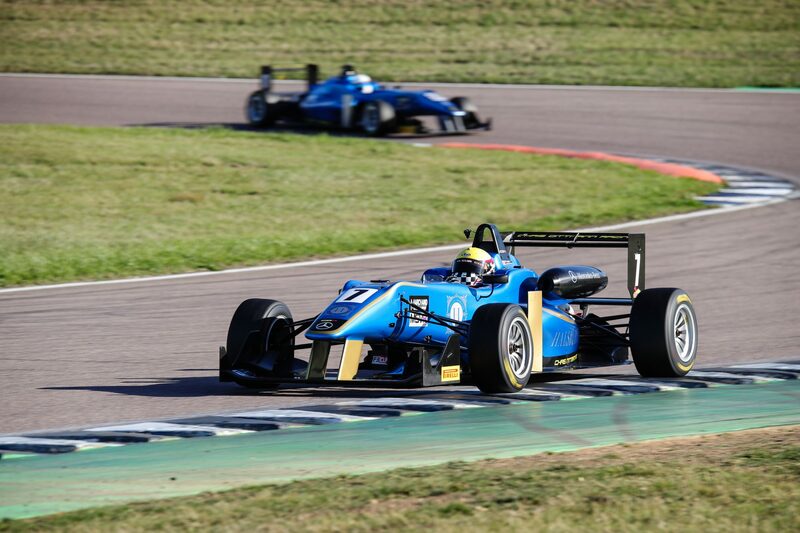 Chris Dittmann got behind the wheel for the first time this season to dominate proceedings in the F3 Cup at Rockingham this weekend (29-30 Sept). The Chris Dittmann Racing principal took the place of driver Phillip Jeans who missed out at the last minute through illness. And with three poles, two wins and the lap record for good measure, it’s fair to say he hit the ground running. But there was more good news for the team, with Patrick Jeans claiming a podium for his season’s best finish. 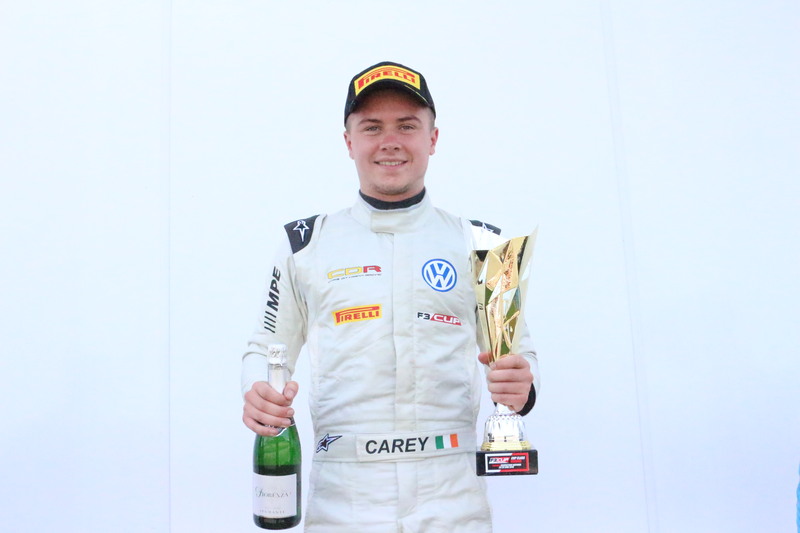 And another podium for Cian Carey in the final race saw him retain his lead in the Championship heading into the exciting finale at Silverstone in a fortnight’s time. Team Principal Chris said: “It was a great weekend, we picked up a lot of points and are now in the lead for both team and driver going into the last weekend. “Phillip took ill on Thursday, so he kindly offered his car to me and I really enjoyed it out there again. “On a personal note, it couldn’t have gone much better with three poles, two wins and a new lap record at the circuit in the competition! “All the drivers were great about me getting in the car. Having me out there can help push them along in the long run, letting them see what the car can do, as well give them more data to look at and videos to show them positions they can take. 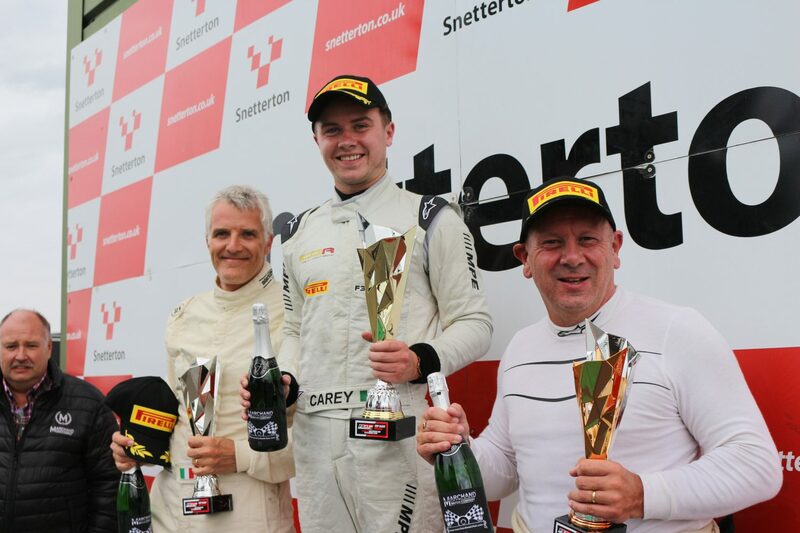 Cian took his fifth and sixth win of the season last time out at Snetterton in August, to extend his lead at the top of the Championship. But with Phillip Jeans taken ill, it was the Chris Dittmann Racing principal – winner of the competition in 2012 – who took his place and the plaudits this time round. As an extra competitive element brought to proceedings, Chris would be up against Hywel Lloyd, the manager of another leading team, who also took over from one of his drivers. 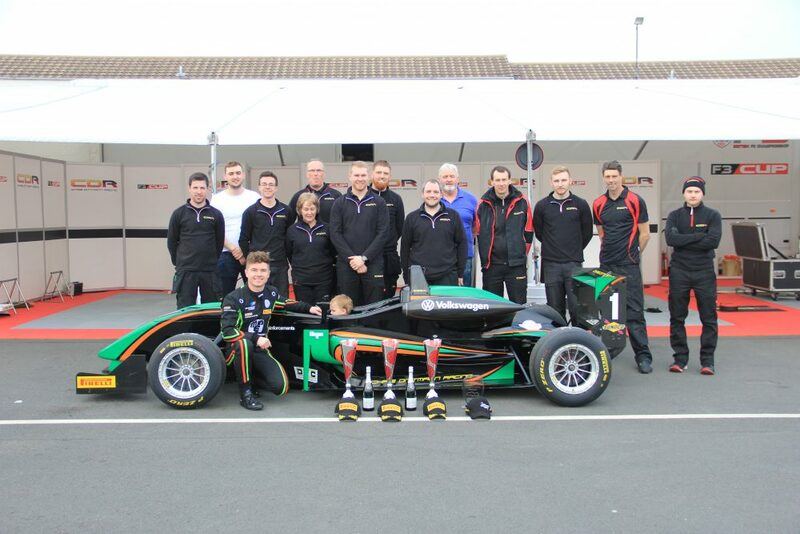 But it was Chris who settled quickest, taking pole for both races – with the first by 0.42 seconds. 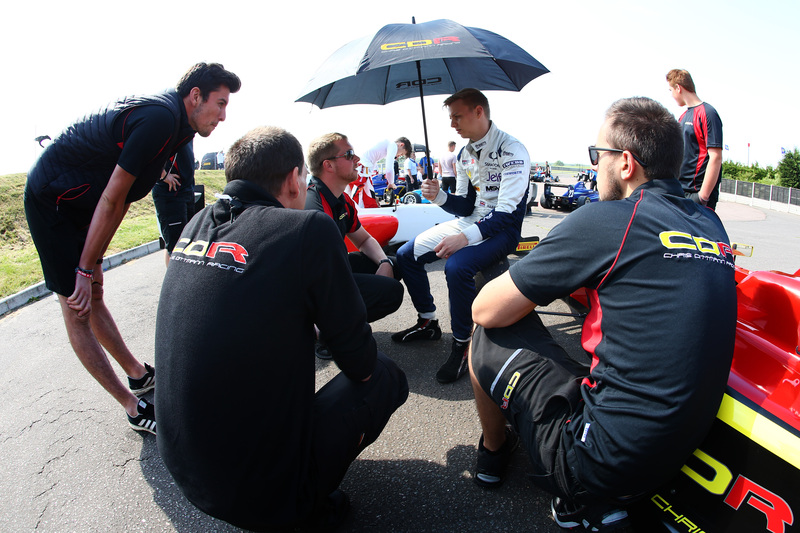 Cian finished in P4, with the team’s other drivers, Baptiste Leonard and Patrick Jeans, P7 and P8 respectively. Chris got off to a great start in Race One, with Cian moving well into second place until he was hit from behind at turn three to leave him at the back of the pack. Patrick and Baptiste did well to avoid the crash ahead and with the safety car deployed, caught up with the leaders. Chris got a good restart and Cian began to move his way back through the field and was back on for a podium place until contact was again made, this time leaving him with a DNF. 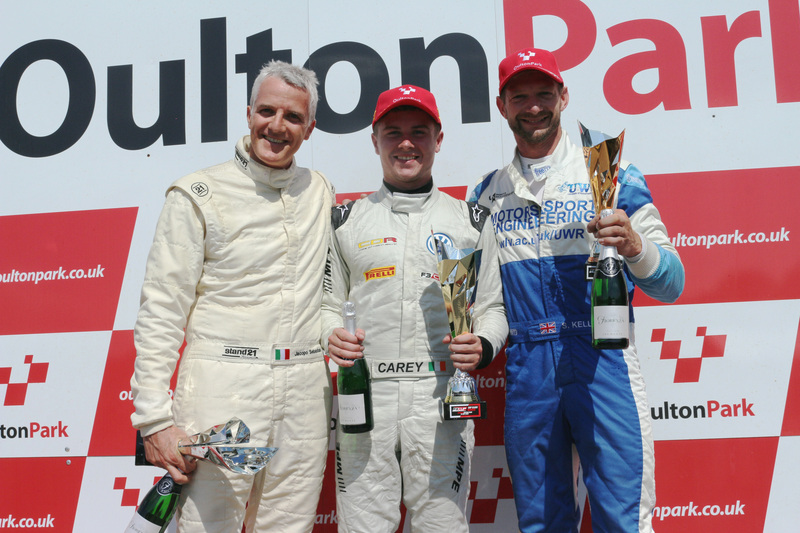 Patrick did an excellent job to take second place at the end – his best result of the season, with Baptiste in fourth. 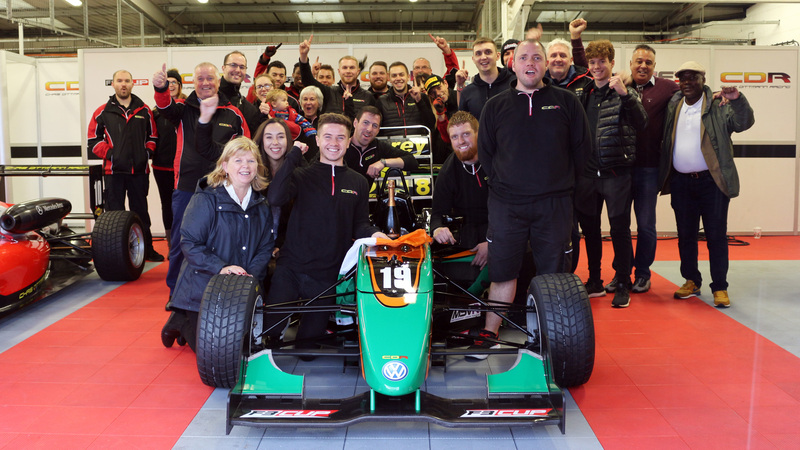 Meanwhile, there was no stopping their boss, who took the win by 15 seconds and set a new lap record at the circuit in the Championship at the same time. 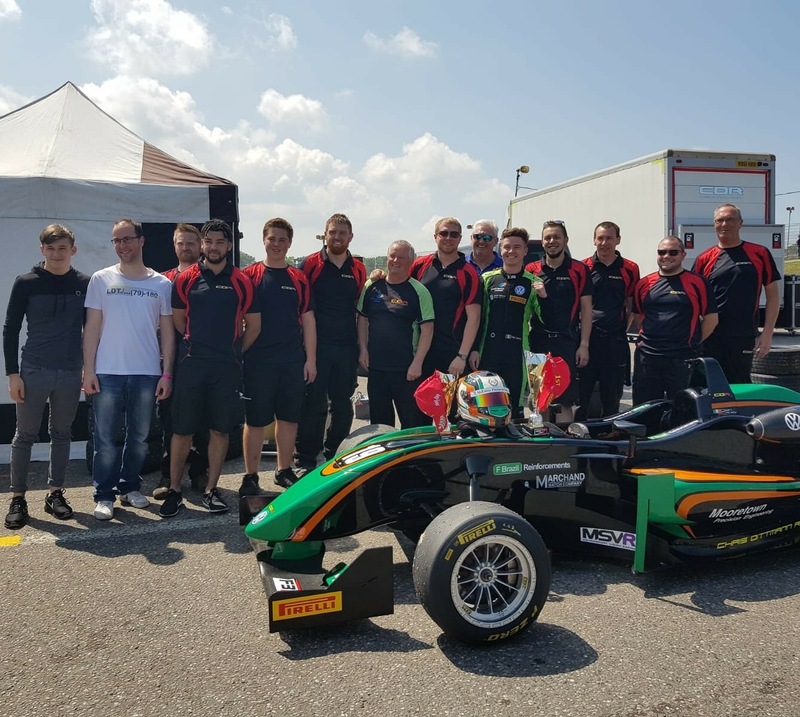 Chris lost the lead early on in the second race but soon won it back, while Cian, who received a five place grid penalty after race one made a great start – until contact with another driver saw another safety car follow. After the restart, Chris held his gap, going on to win by a second in the end, while Cian made his way back through to finish in fifth. Patrick finished in P6 and Baptiste P7. Chris saw his brakes lock in Race Three as he went into turn two, leaving him on the grass and at the back of the pack. He caught back up, but contact with another driver saw him forced back in to the pits for a wing change. Cian, meanwhile, did well to get into third from his fifth place start before moving into second and picking up valuable points, coming back out from the pits behind him at the end – although a lap behind. Baptiste and Patrick enjoyed race-long battles before finishing in P6 and P7 respectively. 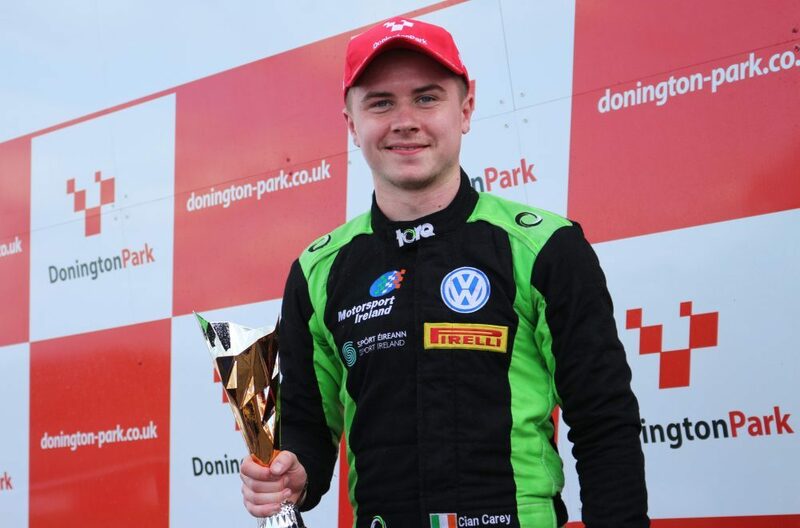 The weekend finished with Cian remaining top overall still – taking a lead of just seven points into the final weekend and setting up an exciting few days at Silverstone on 13-14 October. Patrick climbed up to P4 in the standings, with Baptiste in P6 and Phillip P9. Chris Dittmann Racing also head into the final weekend top of the team standings. Chris added: “It wasn’t the best weekend for Cian, but he still came away with valuable points and stays at the top of the standings. “He enjoys racing at Silverstone and will have one eye on the points, but will be taking each race as it comes and trying his best to stay out of trouble. If he can do that, he will hopefully be looking at the title. “It was good to see Patrick up on the podium and Baptiste also did very.